Ron Arkell and Dr. Godfrey Bacheyie presented Robin and Lorne Isle with a Rotary International Service Award for their initiation and continued dedication to building a Mother's Hostel in Jirapa, Ghana. In 2016, our Club helped create a Neonatal Intensive Care Unit at St. Joseph's Hospital. Robin helped with that project, which has since aided in the survival of countless premature infants. However, she soon recognized that there was a problem: Since mothers needed to be on call to feed their babies every two hours, mothers (and often their other children), had to wait outside - no matter the weather - and be available, day and night. It became her mission to build a Mother's Hostel on hospital grounds near the NICU with beds, bathroom and shower facilities, and a comfortable area for the mothers to sleep, cook and wash their clothes. This hostel has since become a reality, and we're proud to recognize the Isles for their work on this project. 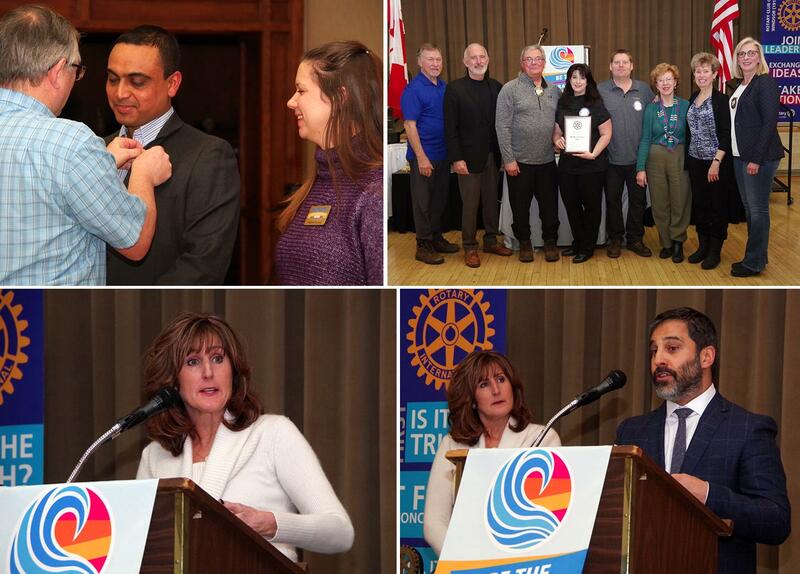 Welcome new member Bhav Dulay! Induction ceremony conducted with the help of Past DG Dr. Rick Caron and sponsor Michelle Morency. 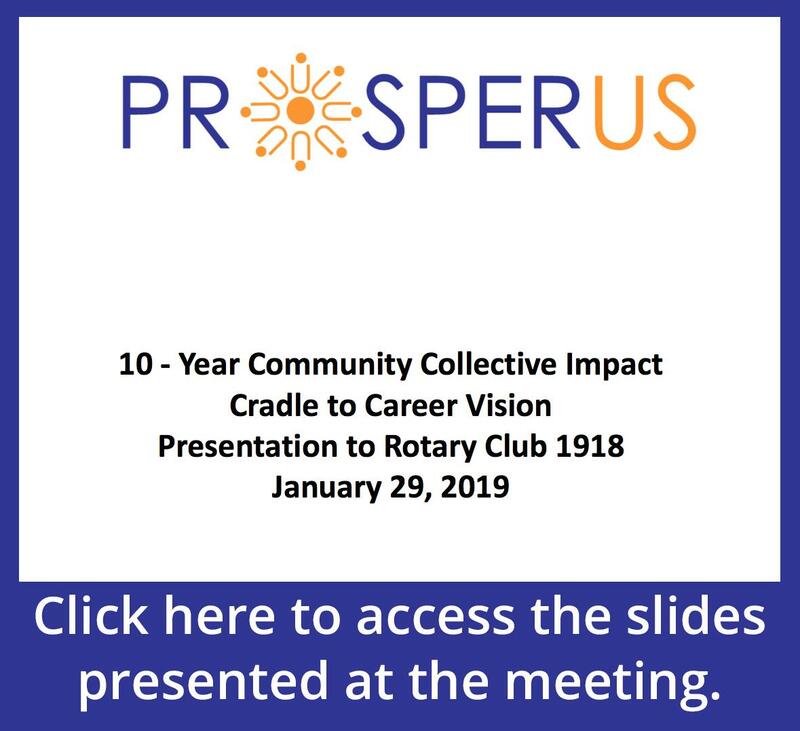 Lorraine Goddard and Noah Tepperman spoke to the Club about the ProsperUs Program, "a collective of non-profit, government, health care, education, labour, business, and inspired residents with a shared vision of a prosperous Windsor-Essex County". The initiative focuses on what they term "Cradle to Career", which involves giving every child the opportunities they need to succeed. It's all about supporting children from before they are born through pre-natal health for mothers all the way through to landing their first job as a young adult. Why it's different: The program is about collective impact: The whole community is coming together to create opportunities for kids that no single organization or sector can do on its own. For more photos from this meeting, Click Here (courtesy of Gordon Drake).